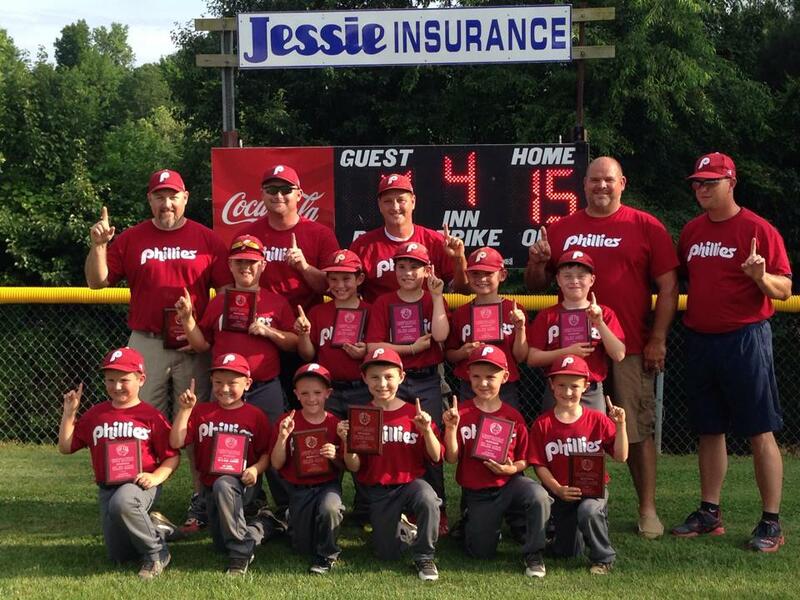 The 2014 CYB Phillies – Pee Wee League Champs. Isaac is on the second row, third from left. My 8 year old son Isaac and his Pee Wee baseball team, the Phillies, are league champs, but that is not what is making this Father’s Day special. They had a great year with a 13-2 record in the regular season, winning the league championship, and going into the year-end tournament a #1 seed, but that is not what is making this Father’s Day special. Isaac learned more about baseball than we could have ever imagined. At the beginning of the season he could barely throw 5 feet away and couldn’t catch a thing. He was terrified to hit, run, or have a ball hit his way. I am not exaggerating. As an 8 year old who had never cared one day about baseball, he really only wanted to play because his 6 year old brother was stealing some of the spotlight. From the very beginning, we knew he was in for a very different experience. He was really challenged by the coaches to figure the game out. Every rule, position, strategy, and technique of baseball was completely foreign to him. He and I started playing Mario Super Slugger on the Wii just he could figure out the names of the positions and how you got an out. Everything he learned about baseball, from the rules to how to swing a bat to how you run the bases, was all brand new and completely from scratch. We played and practiced a lot in the backyard. He did great, but that is not what is making this Father’s Day special. He has a little plague now in his room that declares the world that he was on the 2014 Campbellsville Youth Baseball Pee League championship team, but that is not what is making this Father’s Day special. We have been talking and discussing this for quite sometime. But this was his decision. We knew nothing about it. We had no clue it was coming like it did. My Isaac, my little laughter, who is named for the son of Abraham and Sarah, a child of promise, a child of a new heritage, a child that God gave to begin a new spiritual legacy, is now and will forever be my brother in Christ. That is making this Father’s Day very, very special.